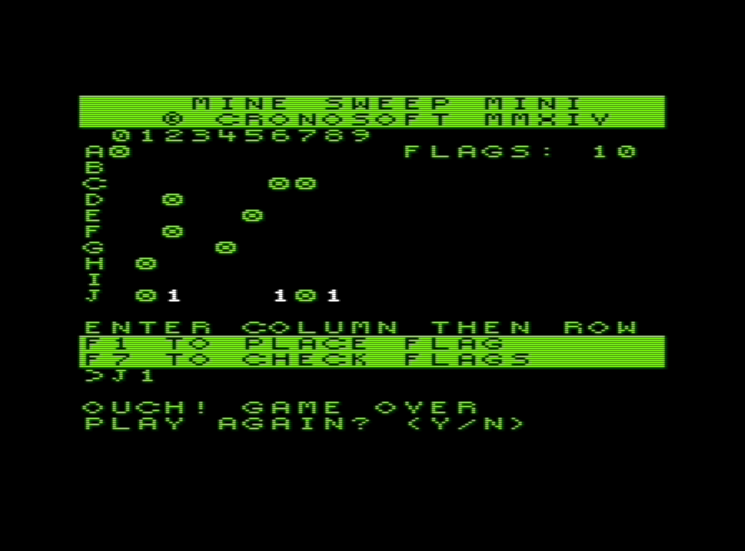 Mine Sweep Mini is a Mine Sweeper clone for the unexpanded Commodore VIC-20, and includes an enhanced graphics set for those machines with +3K of extra RAM. Included in the pack is the original intended release along with an experimental version which allows you to change screen colours on the title screen. There is a very simple bat and ball game called Bounce included too. This later game is, by all accounts, not very good but was based on a not very good Sinclair ZX81 game so it inherited its legacy. 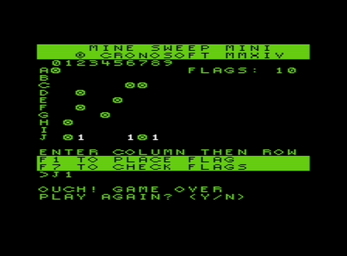 Mine Sweep Mini is included as a disk image, where as the experimental version is a separate PRG file, all of which will work on any good VIC-20 emulator.